The Christmas story has inspired a million more stories. One of my favorites is The Gift of the Magi, a 1905 short story by O. Henry. The story of the birth of Jesus is a story of God’s love and sacrifice. 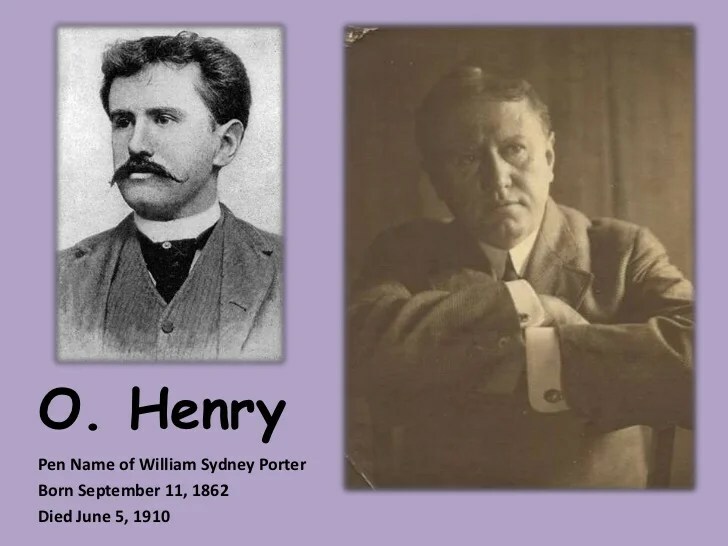 O. Henry tells this wonderful story of love and sacrifice in a marriage. Most of you probably read this story in high school English class, but perhaps have not read it since then. Take the time to do so now in these next two meditations. One of the things good literature can do is to make you want to be a better person. This story does that. One dollar and eighty-seven cents. That was all. And sixty cents of it was in pennies. Pennies saved one and two at a time… Three times Della counted it. One dollar and eighty-seven cents. And the next day would be Christmas. While the mistress of the home is gradually subsiding from the first stage to the second, take a look at the home. A furnished flat at $8 per week… In the vestibule below was a letter-box into which no letter would go, and an electric button from which no mortal finger could coax a ring… But whenever Mr. James Dillingham Young came home and reached his flat above he was called “Jim” and greatly hugged by Mrs. James Dillingham Young, already introduced to you as Della. Which is all very good. Della finished her cry and attended to her cheeks with the powder rag. She stood by the window and looked out dully at a gray cat walking a gray fence in a gray backyard. Tomorrow would be Christmas Day, and she had only $1.87 with which to buy Jim a present. She had been saving every penny she could for months, with this result. Twenty dollars a week doesn’t go far. Expenses had been greater than she had calculated. They always are. Only $1.87 to buy a present for Jim. Her Jim. Many a happy hour she had spent planning for something nice for him. Something fine and rare and sterling— something just a little bit near to being worthy of the honor of being owned by Jim. Down rippled the brown cascade. “Twenty dollars,” said Madame, lifting the mass with a practiced hand. Oh, and the next two hours tripped by on rosy wings… She was ransacking the stores for Jim’s present. She found it at last. It surely had been made for Jim and no one else. There was no other like it in any of the stores, and she had turned all of them inside out. It was a platinum fob chain simple and chaste in design, properly proclaiming its value by substance alone and not by meretricious ornamentation— as all good things should do. It was even worthy of The Watch. As soon as she saw it she knew that it must be Jim’s. It was like him. Quietness and value— the description applied to both. Twenty-one dollars they took from her for it, and she hurried home with the 87 cents. With that chain on his watch Jim might be properly anxious about the time in any company. Grand as the watch was, he sometimes looked at it on the sly on account of the old leather strap that he used in place of a chain. When Della reached home her intoxication gave way a little to prudence and reason. She got out her curling irons and lighted the gas and went to work repairing the ravages made by generosity added to love. Which is always a tremendous task, dear friends— a mammoth task. 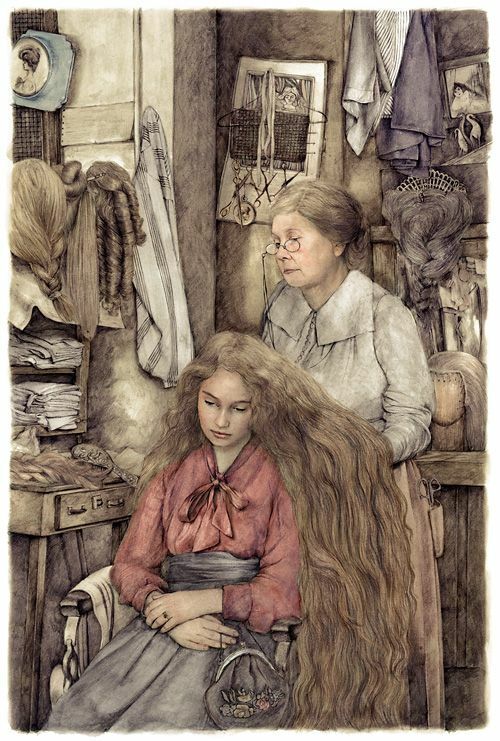 Within forty minutes her head was covered with tiny, close-lying curls that made her look like a truant schoolboy. She looked at her reflection in the mirror long, carefully, and critically. Proverbs 31:10-12 — A wife of noble character who can find? She is worth far more than rubies. Her husband has full confidence in her and lacks nothing of value. She brings him good, not harm, all the days of her life. Ephesians 5:25 — Husbands, love your wives, just as Christ loved the church and gave himself up for her.